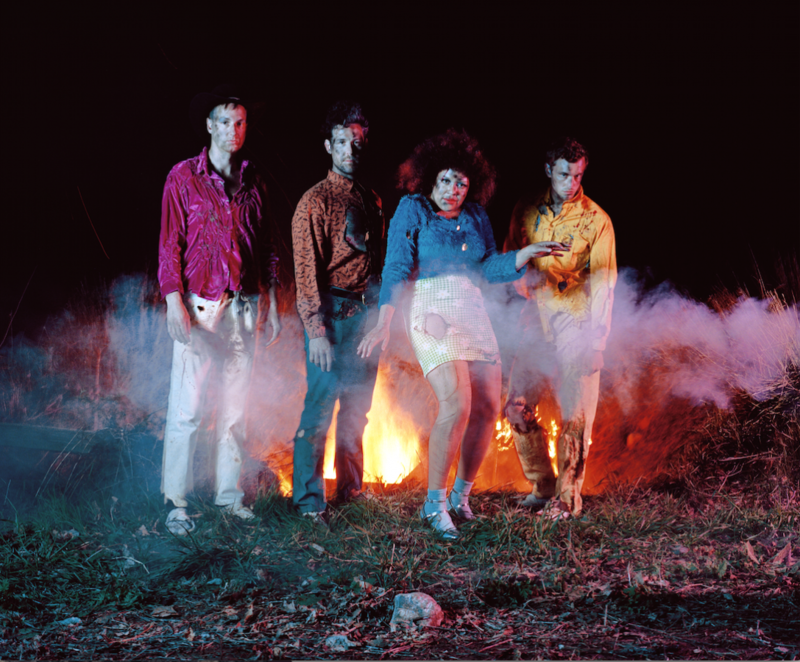 It’s been almost exactly a year since Weaves released their acclaimed debut LP. The self-titled album was among the most anticipated of the year, and was lauded internationally upon its release for its exuberant approach to guitar pop, which was described as “one of the most unpredictable sounds of 2016” (MTV), and “a triumphant assault on all things conventional” (i-D). It was a whirlwind year for the band who spent a nearly uninterrupted 12 months on the road, playing festivals across the globe, and touring with their fellow 2016 breakout artists Sunflower Bean and Mitski. Propelled forward by their own momentum, which they corralled like the barely contained energy of their explosive live sets, it was a transformative experience, and upon returning home to Toronto the band’s leaders, singer Jasmyn Burke and guitarist Morgan Waters, found themselves possessed by an irrepressible burst of creative energy. Weaves entered the studio in early 2017 to begin recording what would become their sophomore LP, Wide Open (due out October 6th, 2017 on Buzz, Kanine & Memphis Industries). Assisted by engineer Leon Taheny (Austra, Fucked Up) who worked with them on their first LP, they approached the album as a highwire act - walking the line between intention and their own gleefully anarchic creative impulses. 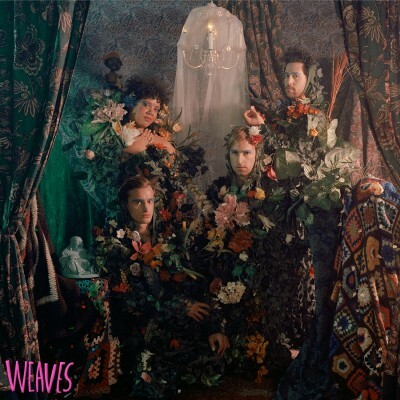 Weaves’ freewheeling compositional style is grounded on Wide Open by Burke’s songwriting, which is both more focused and more personal than on past releases. Burke writes in disciplined bursts, which on the last record consisted of isolated sessions with a looping pedal and a guitar recorded as voice memos on her iPhone, but this time around she varied her technique, often writing on an acoustic guitar, which expanded her songwriting palette in unexpected directions. Both Burke and Waters refer to the album as their “Americana” record, and while the statement is made with tongues placed firmly in cheeks, the album, without discarding the punky pyrotechnics that defined their first LP, displays an expansive and anthemic quality in songs like the opener “#53” and the sweeping “Walkaway,” that makes it clear there’s some truth behind the idea. The record sees Burke extend herself as a performer - moving more frequently to the center of arrangements and revealing new facets of her unique and powerful singing voice - as Waters, and the band’s dynamic rhythm section of bassist Zach Bines and drummer Spencer Cole, find ways to interpret the growing diversity of her expression. From the glammy Saturday night strut of “Slicked,” to the stripped-down, pedal steel abetted torch song “Wide Open,” to the searing “Scream,” a warped duet with Tanya Tagaq that likely constitutes Weaves’ wildest recording to date, the album captures a band for whom exploration is a compulsion making a self-assured step into the unknown.